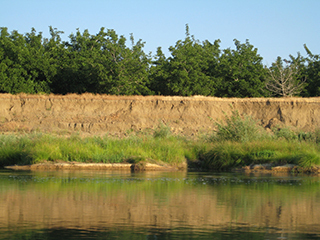 The State of California has committed to enhancing riverine ecology as part of its management of floodways, levees, and bypasses in the Central Valley. 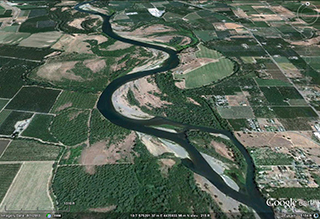 Working with the California Department of Water Resources (DWR), H. T. Harvey & Associates is playing an essential role in the long-term planning of the State’s effort to improve river and floodplain ecosystems. Building on the Conservation Framework of the 2012 Central Valley Flood Protection Plan (CVFPP), H. T. Harvey & Associates has provided leadership, technical expertise, and content while participating in numerous in-depth consultations with DWR and other resource agencies. In late 2016, this process culminated in the release of the draft CVFPP Conservation Strategy. The CVFPP Conservation Strategy is a comprehensive, science-based approach to integrating ecosystem function into flood management. It identifies issues, provides goals and measurable objectives, and describes methods for achieving objectives and implementing multi-benefit projects. 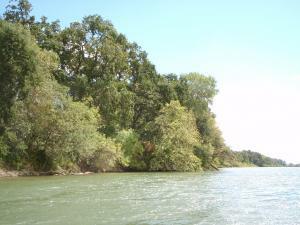 Working with DWR and other resources agencies, H. T. Harvey & Associates helped develop the CVFPP Conservation Strategy, which is a comprehensive, science-based approach to integrating ecosystem functions into flood management projects and O&M activities throughout the Central Valley and Bay-Delta. This approach focuses on improving dynamic hydrologic and geomorphic processes; increasing and improving habitat quantity, diversity, and connectivity; contributing to the recovery and sustainability of native species; and reducing stressors that negatively affect at-risk species. As part of the development of the CVFPP Conservation Strategy, H. T. Harvey & Associates prepared 17 focused conservation plans for special-status at-risk species. These plans are being used to help prioritize flood management projects and maintenance activities. Species addressed include the Swainson’s hawk, western yellow-billed cuckoo, least Bell’s vireo, bank swallow, spring–run and late fall–run Chinook salmon, steelhead, riparian brush rabbit, and giant garter snake. 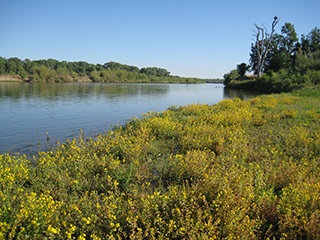 H. T. Harvey & Associates also prepared on Invasive Species Management Plant for DWR that describes the State’s preferred approach to managing invasive plants in the flood system. As an integral part of CVFPP implementation, H. T. Harvey & Associates is leading development of an HCP for the Feather River Regional Permitting Program. Programmatic permitting will facilitate multi-benefit project construction, O&M activities, vegetation management, restoration, and other activities benefiting numerous species and habitats. The H. T. Harvey & Associates team, along with state and federal resource agencies, participated in the Interagency Advisory Committee and various subgroups supporting this project. Our staff also provided insight and technical expertise to the Technical Advisory Committee.